Wow, so Travelex managed to screw me pretty royally. Pretty fitting considering I’m in the UK where they know a little something about royalty. This is a pure rant so if you aren’t interested, I highly recommend the Solar roadways post instead. Like it says in the masthead, “because if I don’t write, I’ll explode.” Sometimes I do these just for me and this is one of those times. However, if you travel internationally, be warned. Getting off the plane at Heathrow Airport there was a Travelex kiosk between the jetway and Customs. This is not the terminal, but a controlled area that starts at the plane door and empties into Customs with no unlocked doors between those two points. Since I knew there would be a line and I had a checked bag, I figured I could afford the time to change out my money there. None of my US-issued cards are chip-and-PIN so I asked to redeem my money as a pre-paid debit card. That was my first mistake. Though the clerk assured me this was possible, he didn’t seem to have ever issued a debit card before. The process took about 30 minutes, with me begging after the first 10 minutes had passed to abort the card process and just get currency back. But I’d already slid my dollars under the glass and he refused to abort issuing the card. I suspect it would have taken a lot longer than the 30 minutes except that I had a good view of his screen and was coaching him on the proper entries for the various fields. He tried to put the city into the second address line, had the wrong number of digits in my phone number, etc. By the time I got my card and made it to the Customs agent, the rest of my plane had cleared the checkpoint some time ago and there’s a new batch there. I’m grilled like a Memorial Day hamburger by the agent. Twice screwed by the damned Travelex guy! For a few days, things go well. I’m able to use my card in stores where my companion’s cards just don’t work. I even recommended Travelex to my friends, with the appropriate warning to not buy until clearing Customs. But today it’s time to reload the card and the web site says it can’t be reloaded. WTF? You are supposed to be able to reload online, over the phone or in person so I call the number on the web site and am told the offices are closed for the weekend. thrice screwed by Travelex. This is getting monotonous. A little more digging turns up a different number where someone actually answers. Yay! Now I can reload the card! Or not. Now I’m told that the kind of card I was issued is a UK-based card for issuance to UK residents. Since I’m NOT a UK resident and have no UK bank accounts or cards, it can NEVER be reloaded online or over the phone. The correct procedure would have been to buy a similar card in the US before leaving for the UK. I mention where the kiosk was located and am told the guy I’m speaking with is actually a MasterCard rep and not responsible for what Travelex does. 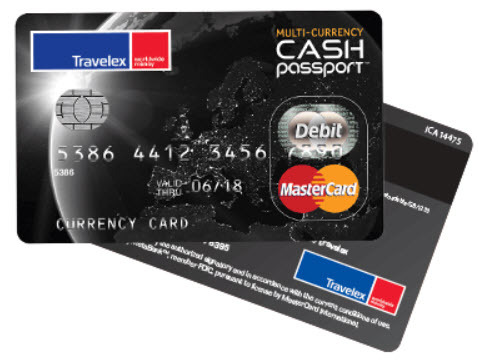 He does admit that a Travelex kiosk in the US Airways disembarkment hall doesn’t make sense as a location to sell UK cards to UK citizens and load them with UK Sterling Pounds. At this point I’ve been screwed by the Travelex guy so many times I’m beginning to think he owes me an engagement ring. But all is not lost! My fearless MasterCard rep informs me that I *should* be able to reload the card in person at any Travelex kiosk. There’s some in downtown London and some in the airport. “What are the hours?” I ask. “Are you *sure* they will be open?” I explain that I have almost no cash and can’t taxi to a Travelex store. I can take a train but the last thing I need is to get there, not be able to load the card and then get stranded with my US-based, Barclay’s-issued, mag-stripe “World” Mastercard that doesn’t work in most of the High street stores and which is why I got the Travelex card in the first place. The rep says he’s confident that any Travelex I go to will be open Sunday because a bank holiday is their peak period, and that I’ll have no trouble reloading from any of my US cards, but that he’s from MasterCard and doesn’t know any of this for sure. I don’t know which is worse: having to brave the train and touristy areas on a holiday weekend (the 8th Circle of Autistic Hell), or the thought of doing so only to discover I can’t load the card and can’t get back (the 9th Circle of Autistic Hell). Now I’m wondering if the Travelex guy will ever call me back and whether he is out bragging to all his friends about how thoroughly he’s screwed me. I’m not without friends here in London and I’ve already arranged a ride for tomorrow so I’m really more annoyed than screwed. But someone who didn’t have local contacts would be both. Short of stealing my money outright, Travelex could not possibly have cocked this up any worse. This entry was posted in Clue train, Rant and tagged fail, life, quality, rant, travel, work. Bookmark the permalink.